Blog Microsoft Azure How to Prepare for Microsoft Azure Exam AZ-102? Microsoft Azure, as a cloud service providing platform, is continuously evolving with rigorous pace. The principal reason behind this quick adaptation to changing environments is, as you know, to cope up with rapidly changing industry requirements. In order to smoothen that transition, Microsoft has entirely redesigned the structure and function of Azure certifications. Let’s try to clarify these changes before moving to the details of AZ-102 exam preparation guide you want to take. Previously, Azure certification exams from Microsoft were in the numbered format such as 70-473, 70-532, 70-533 and so on. Qualifying each of these exams would help you to get credit towards different Microsoft certifications such as MCP, MCSA, and so on. Anyway, Microsoft is slowly transforming the structure of most of these exams to create role/performance based exams based on the changing industry requirements. 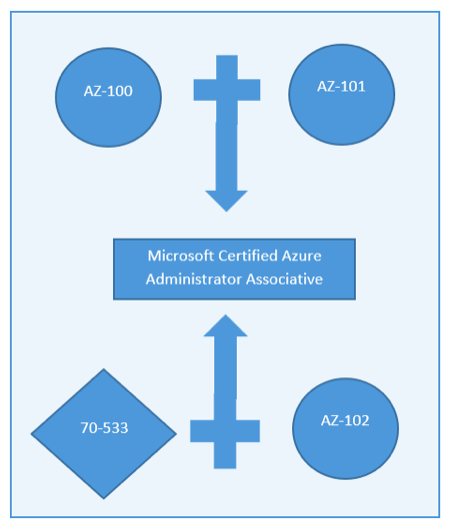 The new Azure Administrator certification exams, AZ-100 and AZ-101 can be taken as an example. These two exams are jointly replacing the need of 70-533 exam, which is meant for implementing Azure infrastructure solutions. So, What If I’ve Already Passed 70-533 Exam. Will My Efforts Get Wasted? No. In any chance, it won’t. Microsoft has a new exam with code name AZ-102, that allows the smooth transition of 70-533 passed candidates to get the new Azure Administrator associative certification. So if you have passed 70-533, you don’t need to go for either AZ-100 or AZ-101, just try your luck on one exam: Microsoft Azure Administrator Certification Transition or AZ-102. If you pass this exam, you’ll become a qualified Azure administrator associative no matter whether you’ve passed AZ-100 or AZ-101. If you’re sure about moving in this field, we can assist you by providing the best Microsoft AZ-102 Administrator Certification Transition exam preparation strategies and materials. Feel free to come at any time when you think about a reliable preparation guide for Microsoft AZ-102 exam. 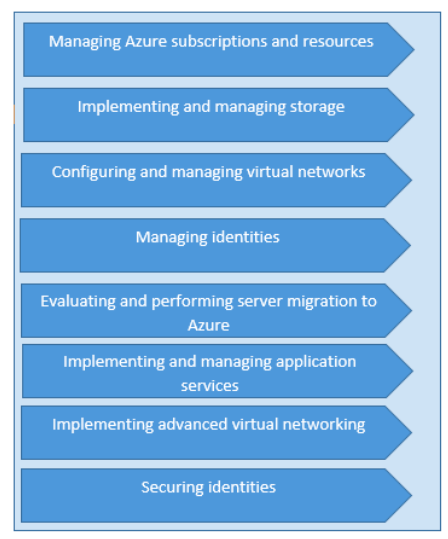 The following figure illustrates how you can move towards becoming a qualified Microsoft Certified Azure administrator associative with these different exams. This will help you to have a precise idea about these exams. So, where can we start? Let’s move directly into the main topic without wasting time. As you know, the curriculum of AZ-102 exam is the blend of both AZ-100 & AZ-101. You’ve to be proficient in the content covered in both exams in order to become a Microsoft Certified Azure Administrator Associate regardless of the fact that you’ve passed 70-533 exam. Microsoft Learning portal contains a huge volume of valuable information that can help you with your AZ-102 exam preparation. Here you can find information such as exam scheduling options, exam pricing information, exam modules, preparation tips, and links to other online resources, and so on. It’ll be a great loss for you if you haven’t properly checked this section before your exam. We’ve already discussed each and every module of the exam and probable weight of marks that can be assigned in each section. As per the previous exam data, these weight figures are more or less the same. It’s a clear indication that you can’t skip any of the modules. Anyway, give priority to the modules that have more weight in your AZ-102 exam preparation. This can help you to score good marks in the exam. As of now, there’s no link for practice test provided in Microsoft Learning platform. But, there’s a link to the online practice test provided by Microsoft’s exam partner “Mindhub”. This official exam will provide detailed answers and references after you write your exam. The instant score report is another key feature of this exam. Since AZ-102 is a transition exam, chances are less for finding a relevant book. You may find many websites claiming 100% guaranteed questions for your AZ-102 exam preparation. Most of these resources will be off fraud type or following some kind of brain dump answers. Following these methods may cause you losing your time and money. So, always try to make sure the authenticity of the source before spending your money. Millions of aspirants have become certified with our practice tests. Give your preparation a new edge with Microsoft Azure Exam AZ-102 practice tests. 1. If I haven’t taken a 70-533 exam, can I able to appear for AZ-102? Yes. You can. But doing this is completely useless. 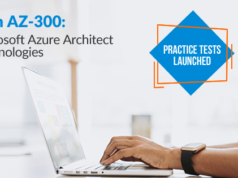 The exam AZ-102 exam is merely for the transition from a nearly outdated 70-533 exam to the new performance-based roles needed for an Azure administrator. So if you haven’t taken 70-533 exam, you won’t get any benefit by passing this exam. And, this exam is also soon going to retire on March 31, 2019. (You may aware that the exam 70-533 has been on December 31, 2018.) Hence, if you’ve passed 70-533, don’t wait anymore and try to pass AZ-102 as soon as possible. 2. What’s the procedure for scheduling the Azure AZ-102 exam? You just have to go to the Microsoft learning portal and locate AZ-102 exam. There, you’ll find the option to schedule this exam. On clicking that, you’ll be redirected into a registration page where you’ve to fill your details. You have the option to choose from where you can take the exam- at a test center, at your home/office, etc. After choosing that, you can move on to scheduling the date & time of your exam. Also, note that the charge for taking the exam varies according to your location and registering date. You have the flexibility to choose your exam slot so that you can get enough time for your AZ-102 exam preparation. 3. What are the prerequisites for AZ-102 exam apart from the 70-533 exam? Like any other Azure administrator exam, AZ-102 requires competent candidates who are capable of managing cloud services that span around compute, networking, storage and security capabilities within Azure. Moreover, he/she should be aware of a full IT lifecycle along with proficiency in Windows Power Shell & Command Line Interfaces. And, it needs to get familiarized with concepts such as ARM templates, Virtualization, Operating Systems, Storage Structures, ARM Portal etc. before looking for a thoroughly prepared AZ-102 exam study guide. 4. How much should I pay for attending AZ-102 exam? Is it available free of cost? Before starting AZ-102 exam preparation, most of the aspirants can have doubts regarding exam pricing- since they’ve already paid for the 70-533 exam. Anyhow, AZ-102 exam isn’t available free of cost. If you’re living in the United States, you’ve to pay $99 for attending the exam. Price chart for other countries has given in Microsoft Azure web portal. And these prices are subject to change at any time without notice. Anytime, Microsoft may release promotional codes or offers that can affect this pricing. But in our opinion, you must not wait till an offer to come since this exam can retire at any time. 5. From where can I get the best Azure AZ-102 Administrator Certification Transition exam study materials without much difficulty? You’ll see all the basic options such as exam pricing, scheduling, basic study materials etc. required for your AZ-102 exam preparation from the Azure portal itself. However, if you want more resources, this AZ-102 exam study guide can be a good addition to your inventory list. 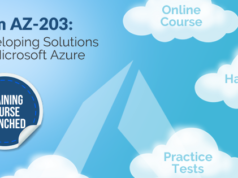 We can provide the essential azure certification exam preparation materials for your AZ-102 exam including the exam preparation strategy, purpose, scope of the exam, frequently asked questions, and so on. 6. Is the AZ-102 exam is the only beta type and will it be changed anytime? 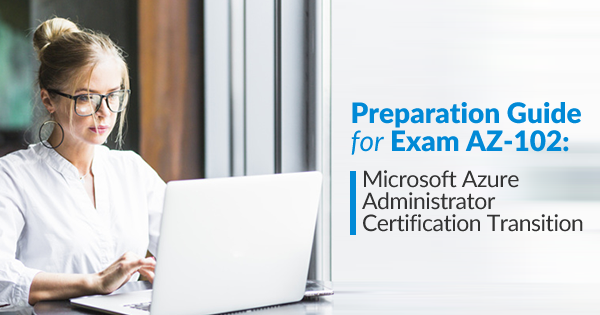 We’ve already discussed that the exam is meant for expediting the transition from Azure certification exam 70-533 to the new role-based certifications such as AZ-100 & AZ-101. You can’t anymore depend on the exam 70-533 which is likely to get retired on 31, December 2018. After that AZ-102 will remain available but only for few months so as to ensure the completion of migrations from 70-533. Anyhow, whatever AZ-102 Administrator Certification Transition exam study materials you have, will be useful for you this time; it’s because these materials can still be used for both AZ-100 & AZ-101 exams which are here to stay. 7. How’s the AZ-102 exam pattern? Is it similar to 70-533? Talking about the exam pattern, AZ-102 is somewhat similar to 70-533, but it’s more like AZ-100 & AZ-101. There can be multiple choice questions, case studies, arrangement tasks, active screens, and different other types of questions. There could be 40-60 questions and you’ve around 220 minutes to complete the exam. Also, remember that time management is an important factor that determines the effectiveness of your AZ-102 exam preparation. 8. Should I need to care about the weight given to different sections during my AZ-102 exam preparation? Certainly, you need to. As from the previous exam question trends, it’s less likely to deviate. Also make sure to grasp different tech terms that often come under Azure label including Log Search, Azure Site Recovery, Azure Migrate, Azure DNS, etc. You can expect questions regarding the concept or implementation of many of these terms. 9. How difficult is AZ-102 exam and how should I change my AZ-102 exam preparation strategy corresponding to that? 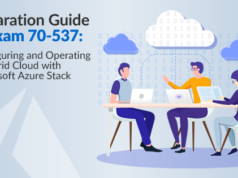 Since you’ve already taken 70-533 exam, you’d have background knowledge on Azure basic concepts which can help you a lot. Most of the questions can be multiple choice type. There can be few case studies as well which can be slightly difficult. However, you need to carefully check each question before answering because some questions may seem simple but it won’t be the actual case. Chances of passing this exam are very high if you’ve working knowledge on Azure IaaS along with your actual AZ-102 exam preparation. Any preparation guide for Microsoft AZ-102 exam should be targeted at helping candidates to make a smooth upgrade/transition from the existing 70-533 certification. The resources we provide focus on the delivery of essential azure certification exam preparation materials which you can use without getting ambiguous about the exam strategy or pattern. We won’t recommend you take any brain dumps for your AZ-102 exam preparation, all you need is be tightly seated, get prepared well, and be ready for the exam. Prepare now with Whizlabs’ AZ-100 Practice Tests and get a badge of Certified Microsoft Azure Administrator Associate! Have any questions regarding your AZ-102 exam preparation? Write in Whizlabs Forum and get your queries resolved by Certified Professionals and Experts.